Navy Value Zip Front Jacket is rated 4.6 out of 5 by 23. 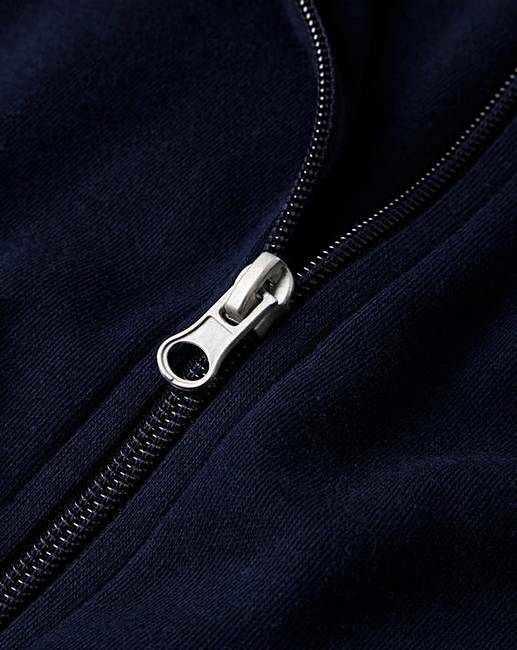 This zip front jacket matches perfectly with out straight leg jogging bottoms. 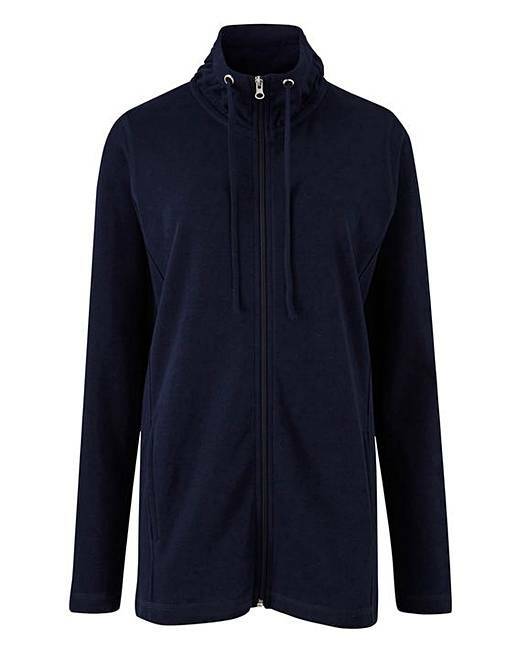 This ideal leisurewear piece will keep you cosy during colder months. Rated 2 out of 5 by Countryhaystack from ECONOMY JACKET Wanted a light weight jacket to wear in the house. The arms were too long. This was a thinnish material that was not fleece. Felt very cheap. Didn't hang well on me. Was not value for money, it was expensive for what it was. I returned it as I was not happy with it. Rated 5 out of 5 by Big hair from Soft and light weight Bought this item for when I am playing bowls, ideal fit and length. Rated 5 out of 5 by Petal from Super Jacket. Purchased a few weeks ago to go with the matching trousers, so pleased with it the material is very soft and comfortable and the price is excellent. 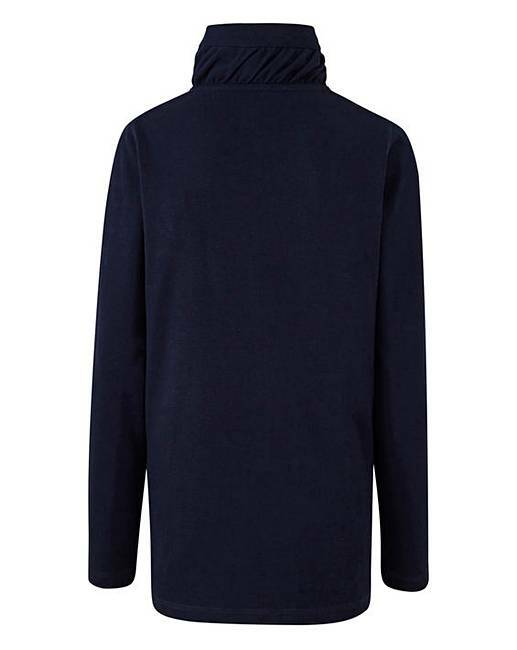 Rated 5 out of 5 by Faneca from Great jacket Sized up but could have stayed true to size; lovely stretch, soft handle to the fabric, surprisingly warm for a "thin" jacket and great for layering; long length, hits just below hip line on me at 5'4". Washes well, no ironing needed; have a couple in navy and in the black. They don't look like gym wear so quite versatile - I've worn to work as a "cardi". Would be good in other colours please - green, pink, red?? Rated 5 out of 5 by jethy from Bargain! Really nice jacket. Lovely & warm as it has a sort of fabric lining to the material. It is quite long too, but not too long. I wasn't sure about the collar, but have turned it over & it's fine now & stays down. Great value, especially as I had a code for extra off too. Would recommend. Rated 5 out of 5 by Selkie70 from Pleasantly surprised! 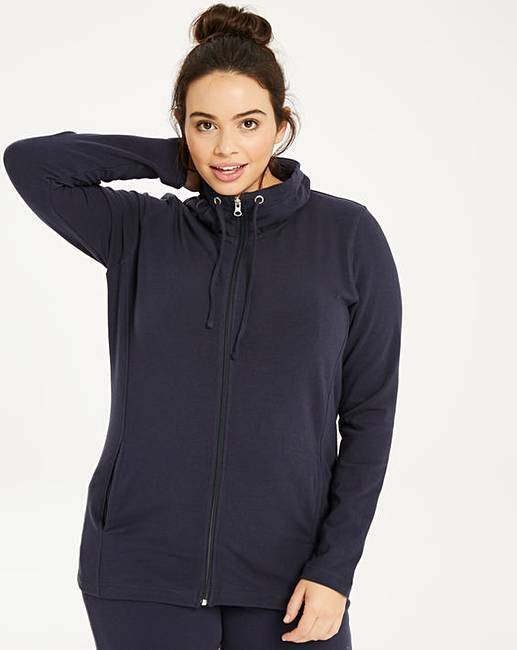 I bought this as I need tops with pockets to help deal with a broken leg. For the price I didn't expect much, just something functional to wear around the flat. But it's lovely quality cotton, a very flattering fit for my hourglass figure and feels well made. Bravo for a great product - I'd expect to pay at least double the price for this quality in another store, and triple if covered with logos! (I like that its a plain colour). I'll be wearing this out and about and am about to order the same in black. More colour choice, please!